Saturday was beautiful and 70 degrees in north Texas. We took full advantage of the glorious weather and enjoyed our last lesson before the show. This may not sound toopopular or correct, but I have a confession to make about my lesson. I learned to post the canter. Yes you heard me right, I posted the canter on purpose. I never get tired of trot photos. Ever. 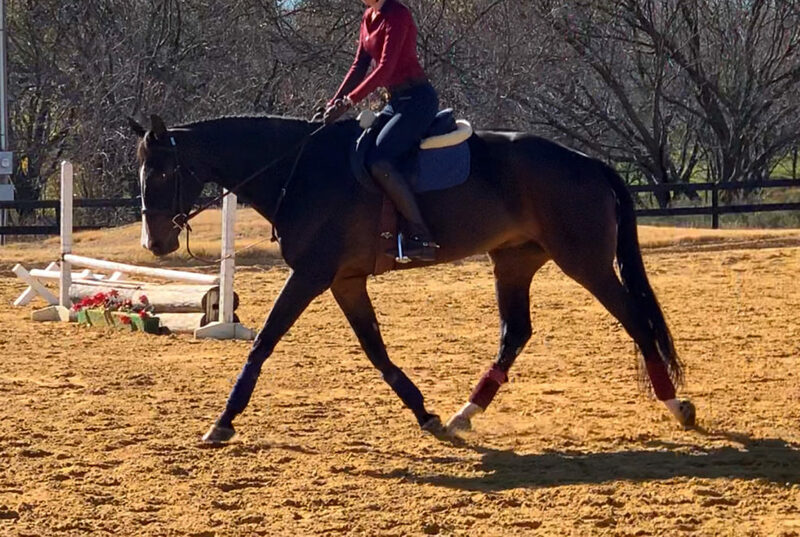 I kind of gave my trainer an “are you crazy?” side eye when she told me to post the canter. Then when I flopped around a bit I finally admitted that I don’t know how. 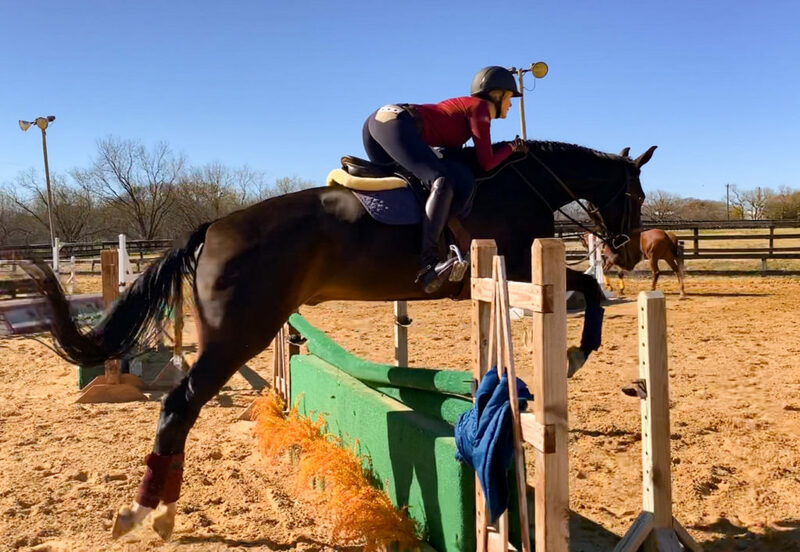 Yes, I see riders do it, but I also know it’s not technically correct and generally frowned upon in the show ring, and I have never learned how to do it. A short demo and a bit of practice got the idea across and we were on our way. So why on earth would my trainer be TEACHING me to do what many consider terribly incorrect? Don’t worry, it’s only a training aid and not for the show ring. I have really been struggling lately with being too tense in the saddle. Too rigid in an attempt to ride ‘perfectly’ has me tight in the knees. I can relax my arms when my trainer comments on them, but not my whole body. Posting at the canter is an exercise with the intended purpose of getting me to stay loose in my whole body while cantering. It forces me to keep moving, and doesn’t allow me to sit heavy and stiff in a full seat, or perch rigid in a half seat. It felt weird, but I immediately realized how stiff I had been. It felt GOOD to relax more and move more freely with Rio, and I think he liked it too. He was super chill the whole lesson, and jumped around like a star. With a bit more practice I think that just ‘thinking’ about posting will help me relax, particularly in my knees. We enjoyed a light hack on Sunday in more beautiful weather followed by a bubble bath to get Rio show ready. He heads down to Waco today, and I’ll meet him down there on Wednesday. My division (the 3′ adult amateurs) goes Thursday and Friday. Wish us luck, I am really looking forward to it! After the show Rio will be getting a good long break. We currently don’t have any more shows on our radar, and I plan to take it easy over the holidays and let both of us relax. 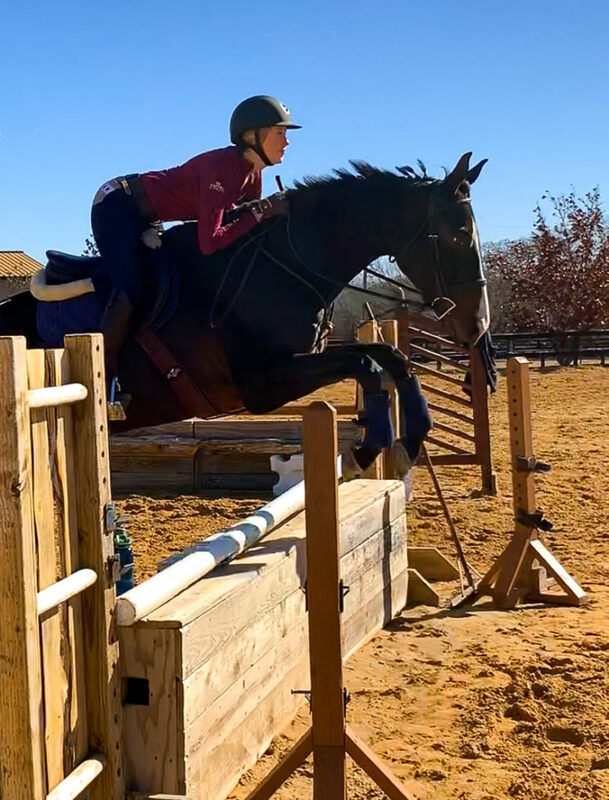 My mom is still trail riding my 31 year old ex-eventer, maybe I’ll bring Rio down to ride with her on some trails, or find my cross country schoolings to go hang out at! 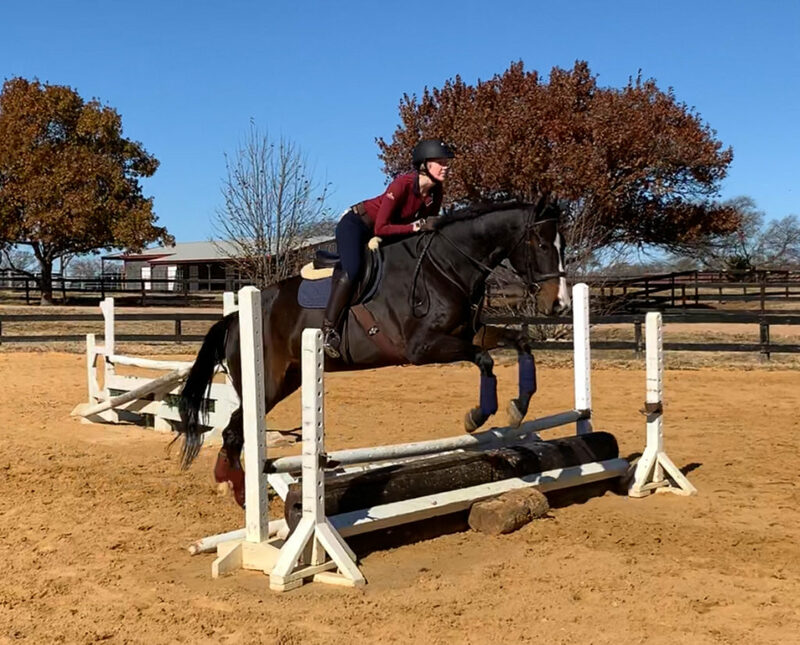 12/1/18 Jump Lesson from Kelly Wi on Vimeo. I think posting the canter (occasionally and with a specific purpose) can be so useful! 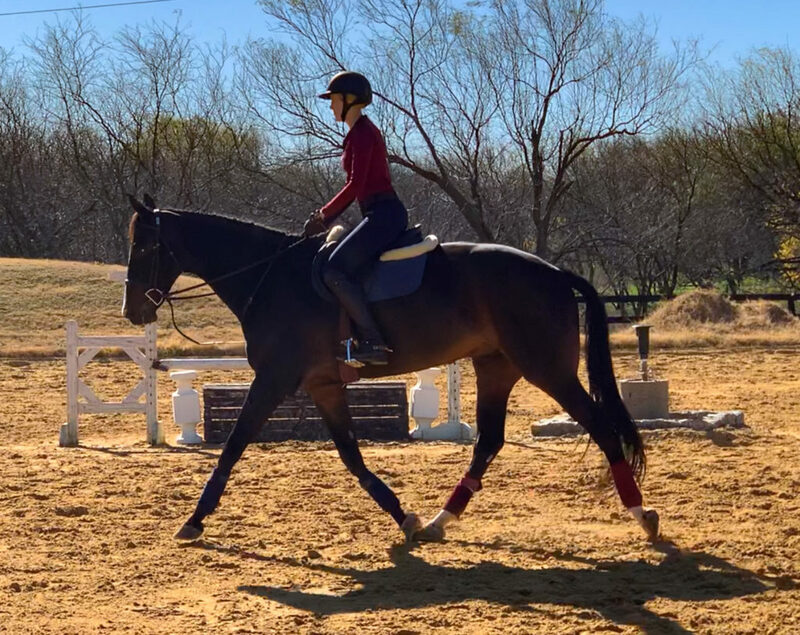 My trainer has me post the canter sometimes to help with rhythm and balance without using driving aids. Sometimes Duke gets behind the leg and four-beaty in his canter, and posting like a metronome helps remedy that. Best of luck at the show!! Sometimes the “wrong things” can help us do the right things. So post that canter if it helps! (Just maybe not in public ;)) Good luck at the show!